In case you haven’t noticed, Zaful Thanksgiving sale has begun! $10 off over $60 discounts and free orders with free shipping.! Great deals on trendiest fall fashion and winter clothes. Zaful. Thanks giving day sale is waiting for your visit! 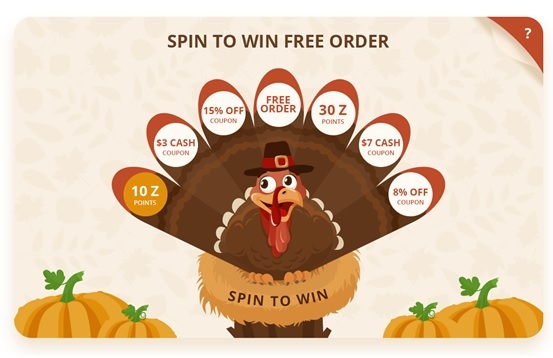 A free order chance will be offered during 2017 Zaful Thanksgiving Sale Each Zaful account has a chance to spin our Wheel of Thanksgiving per day. Which you may gain access to FREE ORDER / 10 Z POINTS /30 Z POINTS / $3 CASH COUPON / $7 CASH COUPON / 15% OFF COUPON / 8% OFF COUPON.